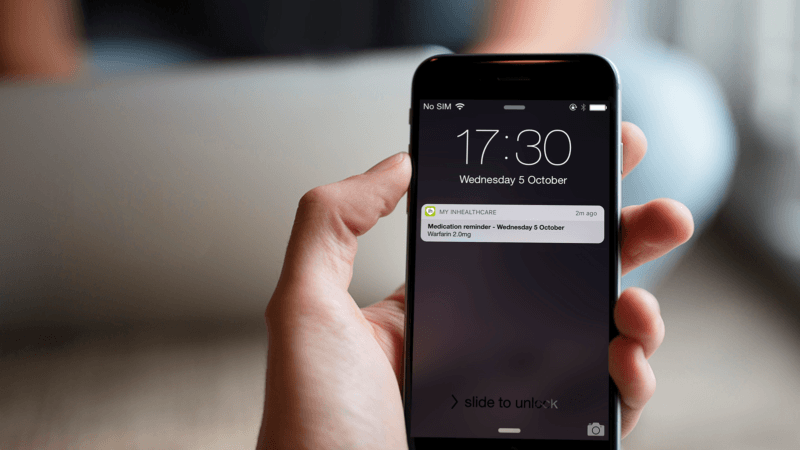 Medication non-adherence – does SMS hold the key? It was estimated that patients who do not take their medicines as directed, not only risk harming their health, but also rack up a bill in excess of £500 million each year for the NHS.1 While there may be many reasons for this, one very simple mechanism to promote drug adherence is to remind the patient, at the appropriate time to take their medicines. Automated text messages can provide an excellent way of sending these reminders. Is SMS better than email reminders for medication non-adherence? You could of course send an email reminder, but people generally take more notice of a text than an email. There are several reasons for this. Firstly, spammers don’t tend to use texting because, unlike email, every text message incurs a charge. Secondly, you don’t need to have a smart phone to receive a text, and thirdly, you can’t generally delete a text message without having read it first. As well as reminding patients to take their medicines, SMS can be used to contact a patient in order to gain a reply to things such as health questionnaires or to gather vita signs data. Inbound text messages from a patient to a healthcare professional could not only save time and money, but enables valuable information to be gained in a much more efficient way. Take for instance patients suffering from multiple long term conditions who are required to monitor vital signs such as their blood pressure and weight each day. These are simple readings that can be taken at home, and communicated to their care team without travelling to their doctor, but by text messaging, or a communication method that suits. What’s more is that technology advancements now means the data the patient provides via a text, or any other method of communication, can then be automatically injected into their patient record, GP systems, or passed on to decision support systems to make informed decisions around care. While SMS is suited for medication reminders, it is essential that digital health technology supports all types of communication channels. Automated phone calls via a landline for instance, can reach 99% of the UK population. Online access via browsers and apps are equally important as patients are calling out for more convenient ways to take care of their health, in a way that fits with their existing lifestyle. Digital health shouldn’t be a barrier to care, it should enable more convenient care. Inhealthcare believe that inclusivity is key, and regardless of technical ability or accessibility to the latest technology, each person should have an option to choose a channel of communication which suits them. With this in mind, we have developed technology to enable efficient and easy to use digital health care for all.